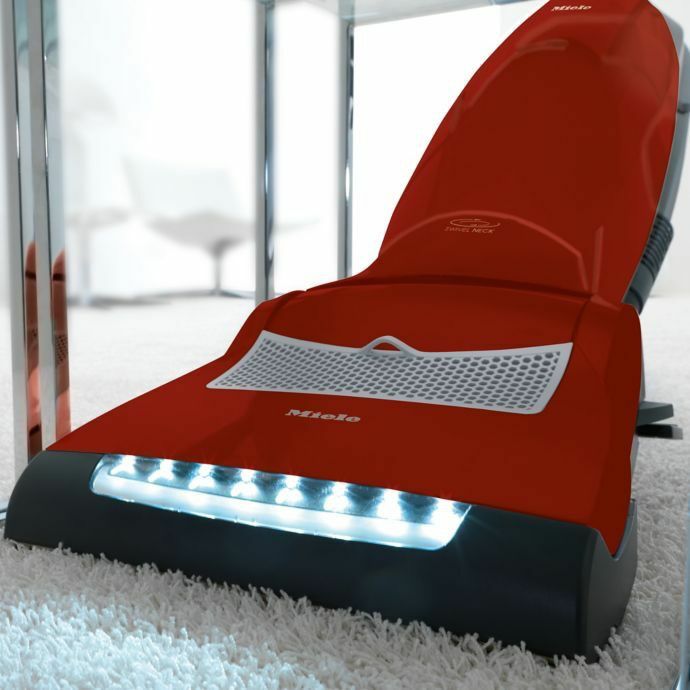 Great for use on any flooring type, especially carpeting, the Miele Dynamic U1 HomeCare is built to tackle any job. 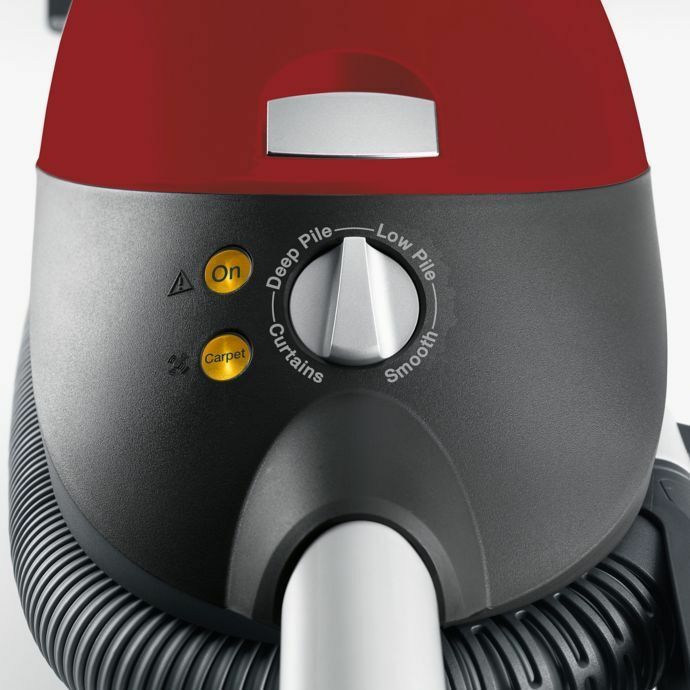 Featuring a massive 54-foot cleaning radius, automatic height adjustment, and Miele’s patented SwivleNeck technology, this 1,200-watt vacuum is all you need for cleaning low, medium, and high pile carpets. 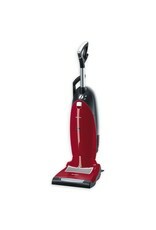 Powerful tools and useful features makes it effective on bare floors, curtains, furniture, and much more. A completely sealed filtration and dust collection system provides relief for allergy and asthma sufferers. No matter where dirt, dust, and pet dander hides, the Miele U1 HomeCare will capture it. 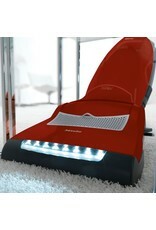 With it you’ll seamlessly move from bare floors and carpet to furniture and upholstery. Motorized Electrobrush: This rotating brush reaches in to agitate and remove dirt trapped deep in carpet fibers. 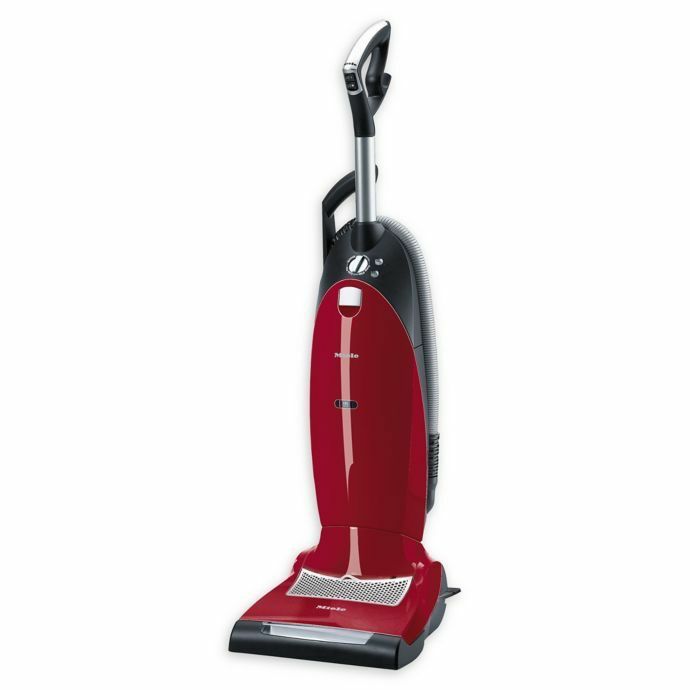 It’s specifically designed so that it vacuums right up to the edge of your flooring. The brushroll turns on and off so that bare floors are protected. Automatic Height Adjustment: The Electrobrush automatically adjusts its height for cleaning different carpet depths and flooring types. 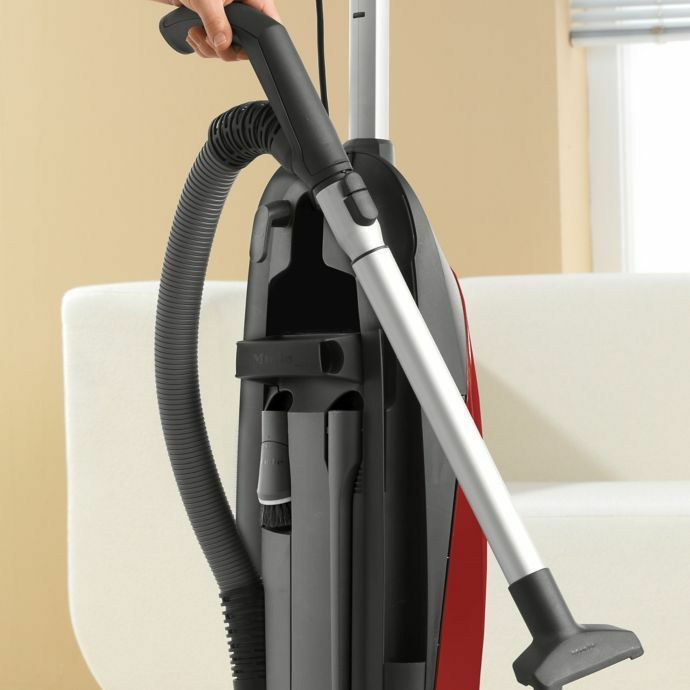 4 Suction Settings: Using the rotary dial on the front of the vacuum you can choose from smooth flooring, low-pile carpets, deep-pile carpets, and curtains suction settings so you always have the right suction level. Powerful Motor: Miele’s specially designed Vortex motor technology is built to be efficient, quiet, and most importantly to last long. SwivelNeck Technology: Its unique swiveling neck allows users to easily navigate around furniture with the turn of a wrist. 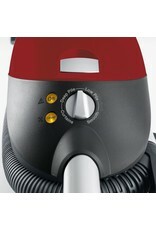 With a cleaning reach of 54 feet, this Miele upright vacuum cleans multiple rooms on a single electrical outlet. Its aluminum telescopic wand delivers up to 10 additional feet of cleaning reach for extending your cleaning area. Whether you’re looking to reach into corners with the 12-inch crevice nozzle, capture dust on baseboards with the dusting brush, or remove pet hair from furniture with the upholstery nozzle, simply place your desired attachment on the wand. Great for allergy and asthma sufferers, multiple layers of protection combine inside of the U1 Maverick to create a 100% sealed dust collection filtration system. Auto-Sealing FilterBag: Microscopic particles are captured inside the 9-layer vacuum bag. With an auto-locking seal, dirt and dust is trapped inside this 5.45-quart bag and not in your home. HEPA Exhaust Filter: An electrostatically charged 3 ply filter captures fine allergens so only clean air is released back into your space. Pre-Motor Filter: Traps large dirt particle providing extra protection for the motor and internal components. Ergonomic Handle: Designed for comfortable use it also features power and Electrobrush controls for increased convenience. Full Bag Indicator: When it’s time to replace the FilterBag an onboard indicator light will illuminate. Flexible Hose: A 12-foot accordion-style vacuum hose is crushproof yet flexible for reliable cleaning reach. Attachment Storage: Accessories can be securely stored inside of the square-locking storage compartments. Anti-Tipping: It’s designed to remain stable even when using attachments. 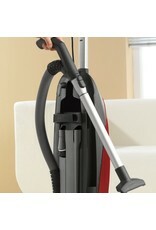 Carrying Handle: Located on the back of the unit, it’s great for transporting the vacuum up and down stairs. Cord Storage: Quickly store the 39-foot electrical cord on the manual cord wraps. LED Headlight: Ultra bright headlight lets you so those dark corners and under beds.